Let's be honest! How many of you heard “Flashpoint” without images moving in front of your eyes? Moreover how many knows the existence of this soundtrack? Written in the stride of Firestarter (we hear in it some of its eclectic tones) and robed in the skeleton of Hyperborea, “Flashpoint” is doubtless the work of the 80's which is the much closer of the 70's atmospheres with winks of eye to albums such as Stratosfear and Sorcerer. This surprising fusion of the digital years' coolness with the analog ambiences of the vintage years is the main charm of a soundtrack filled by lively rhythms and enigmatic moods which really bring us in the arid lands of the American deserts. 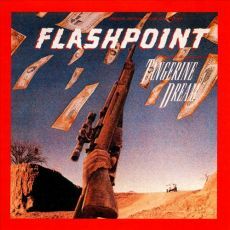 More known under the shape of a bootleg with a so evocative title (Mystery Tracks released in 1993), “Flashpoint” is yet another work of Tangerine Dream which became extremely rare and sold at a high price on eBay. "Going West" opens “Flashpoint” with great electronic percussions which drum in loops in the trail of a bass line with deep resounding chords. Spectral voices howl to the metallic moon while the synth hums a melody tinted of ghostly breezes which float over a puddle of heterogeneous tones, lost riffs and of these percussions which bombard a heavy and lively rhythm. "Going West" is a big electronic rock which fast became an inescapable in the repertory of Tangerine Dream, especially in America. The title amazes by its rhythmic approach. Moreover that's one of the strong points of “Flashpoint” which, with tracks such as "Lost in the Dunes", "Highway Patrol" and "Mad Cap Story", offers one of the most rhythmical albums of the Dream. If these rhythms are heavy and lively, the German trio always gives a priority to their floating ambiences which are darker and tenebrous here, respecting thus the mysteries and dangers of a desert that the Dream has visited in Sorcerer and Encore. "Afternoon in the Desert" and "Plane Ride" are perfect examples of this digital/analog merger with sequenced pulsations/percussions which shape an uncertain rhythm into clouds of metallic acute breezes à la Barbakane from Poland and The Keep, or still the surprising Near Dark which will come out some 3 years later. "Dirty Cross Roads" is another track made of the same mold but with a higher level of intensity. "Mystery Tracks" is a strange ballad which allies mystery, intrigues and romantism while that "Love Phantasy" is more atmospherical with a beautiful synth which radiates of a melody roaming on the outlines of heavy metallic pulsations. It's the quietest track of “Flashpoint”, although that the resonant chords give to it an ambivalent rhythmic cachet. The title-track is totally devoid of interest. It's the weak link of an album which could have been as much interesting as Firestarter if that wasn't for this insipid imitation of a rock which, originally, had to replace the Stones' Sympathy for the Devil. A whim that the producer William Tannen was not able to buy himself, him who had asked Tangerine Dream not to compose an end title. “Flashpoint” is quite a tour de force from Franke, Froese and Schmoelling. It's another good soundtrack which espouses the object of its meanings; the pirates' adventures of the American desert. “Flashpoint” abounds of small underestimated jewels. And the drama is that it risks remaining as it is. And it's one the big problems for TD fans and collectors. Due to scattering of their works among various music labels, especially for music film; who has the rights on what? Because “Flashpoint” is not the only soundtrack to suffer of rarity and so be sold at golden prices on eBay. And the price asked doesn't worth its justification. It's an honest music film of 35 minutes, that's all! But I expect that one day Edgar will offer to his fans the possibly to put our hands on a box-set that will regroup all of these works scattered at four winds … Like the story of “Flashpoint”. A little as Wavelength, “Firestarter” didn't have a much mediatised launch. Conceived in the anonymity, shielded from the ears of his director Mark L. Lester and without having seen the slightest piece of film, this 6th soundtrack saw the light of day very shyly and its release was made without drums nor trumpets shortly after the film hit the big screens. A parsimonious and ephemeral first release that was going to be corrected 6 years later with a more massive production in a CD format for the American market (Varèse Sarabande) and the English one (MCA) that a vast majority says it has a better sound quality. Descending more directly from the inspirations of White Eagle and Hyperborea, and even Poland, “Firestarter” remains a superb EM work. A work more complete than Wavelength because of the slightly longer and more thorough structures which is built a little more on the rules of Thief or Sorcerer than the soundtrack about aliens. 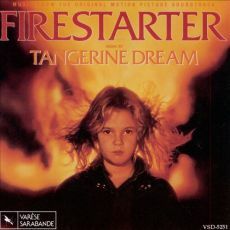 It's with cymbals to tones of cicadas that “Firestarter” offers us one of Tangerine Dream's beautiful melodies; "Crystal Voice". The rhythm is sober. Arched on fine percussions and a discreet sequencing, it bears the lyrical lines of a synth which mislay their beautiful harmonies in tones of guitar and spectral voices. The keyboard chords which sparkle here and there propose a more progressive approach which calls back that of Pink Floyd on Animals. It's a very good track with an enormous commercial potential which doesn't seem to have been exploited to its maximum. And it's not the only one in this category; "Charlie the Kid", molded in the paths of "Crystal Voices", "Shop Territories" and the very moving "Out of the Heat" are other wonderful melodies which throne among stronger, more electronic tracks. Like "The Run" with its pads and riffs of synth of which the shadows cut out curt and jerked movements, drawing a hallucinatory race in corridors papered by riffs and percussions to eclectic tones. "Testlab" is more atmospherical and calls back the wanderings of Horizon on Poland. Always in the range of futuristic ambiences we find "Escaping Point" and its curt synth riffs which hesitate on a beautiful pattern of percussions, the disturbing "Between Realities" which calls back some moments of The Keep and "Final Flash" which is molded on "Escaping Point" and of whom the approach of the heavy electronic percussions and the sneaky sequences will overflow until the limits of Flashpoint. And there are also tracks which balance between these two extremes such as "Rainbirds Move" and its beautiful melody mislaid on the oscillations of sequences and the riffs of harmonious synth and finally the powerful "Burning Force" with its percussions as heavy as metallic which invade the pieces of a melodious approach bewildered by so much power. There is something magic behind “Firestarter”. How to believe that Franke, Froese and Schmoelling didn't see a parcel of the movie and composing a music which sticks to it with so much realism? Is Stephen King's book so inspiring? We have to believe so because we see the movie and read the book to through a music which surfs constantly between the rhythms, the ambiences and the melodies of Hyperborea. But there's no need to have read the book or to see the movie to appreciate this other beautiful opus of the Dream. Here is an album that I had some difficulty to tame and to which an honest review was difficult to give birth. Not because it's not good, but because it's different. Quietly Klaus Schulze leads us in his universe of digital fairies that he upholsters of digital tones with synth riffs which marinade in tones of glockenspiel and orchestral flights that will lead us towards his operas. 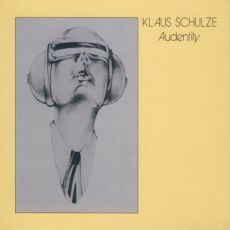 “Audentity” is a double album of what there is of the most eclectic where we sharply feel the cut of Schulze compared with its introductory works. And at that time I wondered where the line of fanaticism had stopped so much we were far from works as deep and floating like Mirage, Blackdance and Body Love. 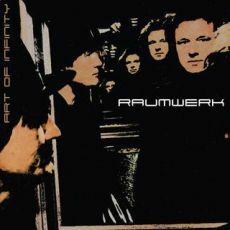 But with the years of subsequent musical discoveries to “Audentity”, force is to admit that this album is precursory and that it opened a breach in the always effervescent universe of contemporary EM, Berlin School or not. This new edition from of Revisited Records, always presented in a very beautiful digipack box set with in addition a beautiful booklet and about 50 minutes of new music, accentuates the perception of a very cold and metallic universe that we could have of “Audentity”. Still in that time I had no difficulty of taming the CD 1(that was LP1) and the long variegated intro of "Cellistica" where sounds flutter in the indiscipline of Klaus Schulze's big improvisations. The mould takes quietly shape with echo riffs which waltz awkwardly on the strings of a pensive cello. Brilliant and punchy, the pulsations and percussions are adding to support this tortuous symbiosis which follows a surprising harmonious tangent that will know a delicious outcome towards the finale. Meanwhile it's a coaxed rhythm which pounds on the charms of Wolfgang Tiepold's cello. It's minimalist and hypnotic with variances in the harmonies but not in the shape. It's a great track which asks for more than one listening because the ingenuity of Schulze to structure the instructurable is as much stunning as charming with this surprising ear worm to Arabian flavors which survives all this long musical monologue and which will furnish the rhythms and the lively passages that are going to draw the musical structures of the 83 European tour. "Spielglocken" is my favorite track. It's like hearing old analog Schulze with the technology of this era. The rhythm is soft and drawn in a superb play of glockenspiels which sparkle on fine hypnotic pulsations while that the harmonies are ghostly with a synth to analog flavors. It's a splendid title that will also be the skeleton of its tour. "Sebastian im Traum" now! I know that it's one of the fave tracks among the circles of Schulze's fans and I have never understood why. This is 30 minutes of cold frenzy. A digital psychedelic ode of which I have never seized the parameters, even less its sense and definition. Certainly there is a sweet melody hiding there and that we can hear of its tinkled chords shining here and there, like on Freeze (Angst). But it's mostly snippets of harmony which float in an anarchy of chords. And still today and after all those attempts I still ask myself what is it about this track? I love Schulze, and I believe that you know that, but I was never capable of passing through the feelings of "Sebastian im Traum". "Tango-Saty" kicks of CD 2 and seems to be taken out of the Dig It sessions so much the tones and rhythms are interlinked with it, quite as on "Opheylissem". Before reaching the sweetnesses of "Amourage" we have to fight its intro. But once past these instants we are subjected by the appeal of the synths which awake the heats of Body Love and Mirage. The price of beauty, is it? The bonus track "Gem" is divided into 5 parts which served as basis to write the soundtrack of Next of Kin, an Australian horror movie which won the Grand Prize of the Festival of du film of Paris in 1983. The intro is a long powerful humming where deformed striations are holding in a lugubrious tone. The ambience does stick to a horror movie although it's a little bit long. "Tiptoe on the Misty Mountain Tops" explodes with an old tone and a sequence in loop. We have here a track which gallops on an eclectic ride and where the authentic genius of Schulze is parading in a sound whirlwind scattered through his eras. It's a superb and lively track which catches the hearing interest on modulations and variances that only Schulze can unjams on minimalism rhythms. This is a great part of "Gem", and some great Schulze, which goes on up until the finale of "Of White Nights". “Audentity” is a small masterpiece. And I know, I know, I know; there are a few out there who are going to say that I have no credibility when I speak or write about Schulze. They are doubtless right. But believe me on one point; if the digital music didn't take much time to unify its tones to the analog moods it's thanks to geniuses like Klaus Schulze who knew how to adapt this technological breakthrough at his structures and not the opposite. And I know several souls, of whom I, who have sulked of the ear this work to return, repenting, after having heard its sound intonations somewhere else, like on Depeche Mode among others. Even if still today "Sebastian im Traum" don't pass my ears, the rest flows with a disproportionate pleasure, because the active listening on a good sound system, at a good volume range, is infernal for the neighbors but brilliant for the listener. And I wish you the same with this other great reedition which comes with a pretty nice booklet... with gossips on the habits of Stomu Yamashta! We cannot ignore the parallels between the music of Uwe Reckzeh and the cradle of his influences. Most of the works from the German synthesist are drinking of it without copying them. In fact, the music of Reckzeh goes over the borders abandoned by the various forms of Tangerine Dream. If Subsesizer explored what would have given the sound of the Dream with Peter Baumann onto Exit, “Mirror Images” gives us rather an outline of the Dream with Johannes Schmoelling within it after the era Poland. Melodious but carried heavily by a wonderful marriage of sequences to multiple rhythmic forms and electronic percussions to Teutonic hits which are crushed by powerful bass lines with ample destructive oscillations, this last album from Reckzeh is a heavy and powerful with rhythms which are leaning on melodic structures evolving inside pattern weaved by fine subtleties. It's with a concert of enchanted breezes shining in a fog of iridescent particles that begins this superb new album of Uwe Reckzeh. Soon, some disobedient voices are humming in this fine musical drizzle from where emerges a great line of bass with ample and juicy oscillations. 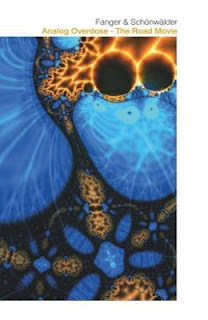 The rhythm settles down with a line of sequences of which the fluttering ions espouse the furious oscillatory tangent of a bass line which feeds its growing rhythm with the arrival of sober Teutonic percussions and of another line of sequences with keys hiccupping under the aegis of great twisted solos. We are entering into the 2nd phase of "Mirror Images" where the rhythm softens its ardour and fattens its harmonious approach with sequences which swirl into short jerky spasms beneath more tenacious hits of percussions which harpoon a double-jointed phase that a synth covers of its divided harmonies. 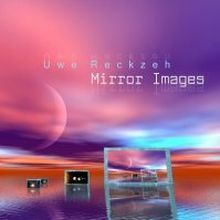 "Mirror Images" depicts marvellously the 55 coming minutes of a staggering album. And it's a very strong track, all in tones and shade which binds itself to "Waiting Steelness" and at its pace galloping under avalanches of percussions and solos hooting in a rhythmic and harmonious continuity which reminds unmistakably the Dream's period of Schmoelling. "Contribution" continues to feed “Mirror Images” of hypnotic sequences which collide delicately under the symmetric jingles of cymbals. The rhythm is hyper melodious. Hypnotic it draws its nuances in the colors of a synth of which the lines of voice get melting into harmonies which get lost in fleeting solos. Very heavy, "Most Diversion" explodes into our ears with an intro filled by an orchestral arrangement near drama. The percussions of a clanic kind add a surrealist dimension at this track of which the harmonies of synths hang on a smile at the ear. We close eyes and we imagine easily what Tangerine Dream would have been sounding if Johannes Schmoelling would have stayed with a group which feeds the inspirations of Uwe Reckzeh. The approach is explosive on this track which tries constantly to go out of its rhythmic pattern. We stay in the intensity with the heavy "Imaginations" which begins nevertheless rather in secret. Timid the resounding chords hesitate to waltz with the percussions of which the knocks of clogs get lost in a bass line and its notes which bite a rhythm in ebullition. The whole thing forms a strange rhythmic choreographic to which are adding some light harmonized keys which ring in a din becoming softer, while that the synth spreads its beautiful solos which cover this rhythm much more savage than poetic. But a rhythm always harmonious rhythm which respects the plan drawn by the German synthman since the first chords of the title-track. And the more we move forward in “Mirror Images” and the more we are subjected by these with structures rhythms and harmonies so near and nevertheless so distant and distinct. With its sequences which have difficulty in outlining a sustained rhythmic figure, "Always Sunday" ends by collapsing under the weight of its percussions while the sequenced ions skip with stubbornness on a rhythmic structure destroyed by its heaviness. Vampiric, the synth widens its devastating solos which wave as spectres thirsty for rhythms. Rhythms of lead which feed amply these solos which seem to go out of the wild imaginings of a certain Edgar Froese. Heavy, rich and delicious! The last two tracks bring us towards more exploratory and schemers phases of “Mirror Images”. "Holding Sympathies" leads us to it with an acoustic guitar which makes meditate its notes under a heavy coat of iridescent mist. Odd bells made by an interbreeding of metallic chords embroider the outlines of a mephistophelic approach before that the rhythm tumbles down in a somber gallop made wrathful by the hits of steady percussions and the burning serpentines of sequences which encircle a rhythmic ride flooded by great solos of a black as much black as darkness. And it's this ambience which transports itself up to the intro of "Tomorrow with no Morning" and its glaucous breaths which breathe laboriously under a sky darkened by a thick cloud of beatings as apocalyptic as eclectic. Fine sequences succeed in dancing there, circulating aimlessly in a dense carpet of ochred mist that synth waves sweep like the glances of a lighthouse in darkness which quietly are waking up with a muffled rhythm. But too little too late, "Tomorrow with no Morning" does not breathe more than by our memory of a listening that we are going to multiply by putting back the counter to the opening track. Without a shadow of a doubt, “Mirror Images” is an excellent surprise that almost went unnoticed. It's a powerful album with a surprising eclectic marriage of sequences, percussions and bass lines which weave rhythms hallucinatory melodic. The atmospheres are alive and rich, surrounding and embracing its rhythms among which the continual nuances and variances convince us even more that the different periods of post Tangerine Dream had always something to charm. Wonderful and highly recommendable! Dreamerproject is the last find of AD Music label. This musical project from the Norwegian musician Kjetil Ingebrigtsen wears well its name and the title of its first opus even more. “The Road to Your Heart” is a beautiful collection of 9 very musical pieces where the rhythms are molded in a tranquillity which sticks splendidly to a very romantic, nostalgic and harmonious approach produced in a masterly fashion by David Wright. "Arped Sunrise" is a good indication of what waits for us throughout “The Road to Your Heart” with a fine melody emerging from an ambiospheric intro. The rhythm is delicate and follows an upward curve with glimmering chords of which the forms of riffs with the percussions draw a bewitching hypnotic tick-tock. The piano notes go away from this cerebral procession, weaving other snippets of melodies which court the ethereal choirs and the breaths of an orchestral synth molded in the souvenirs Vangelis. The influence of Vangelis fills the air all over this opus of Dreamerproject which overlaps the tranquillities of the New Age and the electronic rhythms of the New Berlin School. "Waiting" is beautiful lullaby for insomniacs which takes roots in the waves of a desert beach from which the drizzle rises up until the cosmos. There where tears of synth built of floating and moving pads are winding around a synth with chords sounding like a harpsichord which embroiders the delicate harmonies of a soft melancholy forgotten on the counter of time. One would imagine being in the warm nights of Opera Sauvage so much it's serene. The intros, and finales, which furnish every composition are soaked into soft ambiospheric moods. And so "The Cave" ends up by espousing a harmonious structure similar to the one of "Arped Sunrise", but with a more fluid rhythm, while that the spiraled melody of "Flight on 1607" invites us to a more electronic rhythm. A rhythm à la Software with a fine clanic approach where the percussions which sound like the manual ones resound in tender filets of voices that we lose in the breaths of a rather ethereal synth. It's a good and soft meditative maelstrom endowed with a hybrid structure, sometimes finely jerked and sometimes charmingly melodic. Hollow winds jostle some isolated keys which clink in the tears of violins that have fed the intro of "Waiting". And after this quiet intro, "Dreamscape" offers us a superb rhythm which gallops finely in the roots of the beautiful hypnotic Teutonic movements. Delicate and harmonious, the rhythm oscillates into beautiful pads of a dreamy synth from which the lines and suave breezes surround a fine cosmic melody which grows rich of very good twisted solos. It's one of the good melodious tracks of 2012. It goes in my iPod! "Ambient Waves" is a soft melody which hangs on to its melancholic approach embroidered into some tears of synth. These tears are watering a delicate rhythm which hiccups in a circular movement set in fire by arpeggios to hybrid tones and by honeyed fluty blows that are nailing this track in its envelope of sadness. More cheerful "A Christmas Card" is also very musical and reminds to me the universe of Vangelis. Idem for the title-track which is very poignant and which offers a seducing dramatic approach with its violins which caress our soul, its hummed murmurs which lead our spirit to sleep and its orchestral arrangements which carry our troubled emotions. The rhythm follows a processional bend with its crystal arpeggios which resound like drops on a glass anvil while the percussions which roll on this carpet of nostalgia are shaping a mesmerizing morphic bolero. It's beautiful and it' especially quite musical. "Morning Mist" loops the loop with a long silky structure where the soft rhythm kisses a slow morphic dance which feeds on winds of violin. Winds which quieten a rhythm also harmonious as on "Arped Sunrise" but also orchestral that on "Ambient Waves", a little as if Dreamerproject would lay its melodies on a structure of which the homogeneity is the token of its charms. 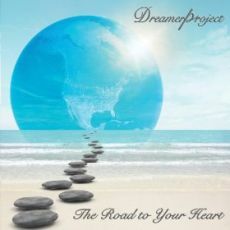 I quite enjoyed my ride with this first opus of Dreamerproject which is going directly in my bank of albums that rock my nights of dreams. “The Road to Your Heart” abounds of beautiful harmonious structures where the rhythms, delicates need to say, and ambiences, movings I got to write, are forming 9 beautiful melodious symbioses which oscillate between the universes of Vangelis and David Wright. Divine Matrix and Dreamerproject! Yes, the future of AD Music floats in beautiful Milky Ways. 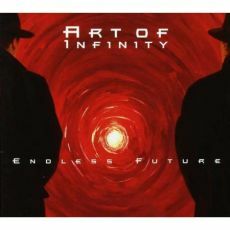 With “Endless Future”, Art Of Infinity reaches its musical maturity undertaken on Dimension Universe. Always keeping a melodious touch, Thorsten Sudler-Mainz and Thorsten Rentsch experiments a darker and poetic approach in at both time a complex and sensual sound universe. The dramatics arrangements are surprising and the superb vocals mixing of Eva Wolf, Alquimia and Ann Kareen Mainz add a cinematographic depth to an opus which tergiversates between a floating progressive rock and an ambient EM stuffed of 1001 voices of abyssal mermaids. A heavy circular reverberation adorned by a beautiful solitary piano and of a celestial voice introduces the short "The Fourth Dimension" of which the tranquility is shaken by thunderous percussions and highly ethereal chants that a heavy guitar wraps of its languorous chords. As much sensual as cosmic, with Alquimia's vocals which is melting marvellously to the torrid saxophone of Stefan Höllering, the title-track crosses the heteroclite world of a young Vangelis with a strong Pink Floyd essence. That's beautiful piece of music. Suave and languidly serene, it's full of superb sounds blossoming. "The Flow of Time" is undoubtedly the most accessible track on this 3rd opus from Art Of Infinity. The tempo is light and it beats on dramatic arrangements which are accompanied of a funeral piano and a solitary sax which flirt between the dark universe of Kate Bush and the Helvetic elegance of Enya. "Utopia" is the epic track of “Endless Future”. The intro is spacey and offers multiple voices which whisper between the strings of a superb cello before that a semi pulsation structures a hypnotic rhythm. The movement progresses with strength beneath good percussions before landing in a desert dried up by the breaths of a wandering sax and by male voices which implore a poetic darkness. It's a long and slow ambient moment which wakes up at the sounds of good drum hits and a sax which melts itself into the harmonies of a splendid guitar before going astray on a more tribal rhythm. After the floating "Tube into Eternity", Klaus Major Heuser's guitar charms us on "Warm Waterfalls". This last one is beautiful, sensual and soft. It's dipped into a beautiful a great Mellotron coat and an ethereal ambience fed by nice and charming voices which sound as enchanting as the electric guitar. With "Age of Changes" and "The Wide End" we enter into the abstract and highly progressive universe of “Endless Future”. The ambient tones are heavy. They progress slowly on the noisy non-rhythm to merge finally into short melodious fragments. The voice of Alqimia is melting quite well to the nostalgic sax of "The Wide End" which is an elegiac melody before undergoing the lightning of a heavy, metallic and minimalist orchestration which concludes another Art Of Infinity s beautiful album. From beautiful to soft while passing by the strangeness of some of its musical structures, “Endless Future” is an opus which is as well intriguing than melodious. Difficult to tame, especially with the last two titles, for those whose interest in EM is increasing, it abounds of pretty nice melodious moments of which the enchantment will increases on each new listening. This is the mark of a very good album which offers on the other hand an approach that is more progressive than electronic. To my big surprise, I liked a lot this last opus of Art Of Infinity. I'm not such a fan of robot voices à la Kraftwerk. And nevertheless I did like “Raumwerk”. I'm also the kind of guy who learns to distrust the beautiful melodies which surround pink-candies rhythms of synth-pop. And still there, I loved “Raumwerk”. On the other hand, I adore synth-rock, electronic prog and the cataclysmic ambiences of an EM which bubbles within its psychedelicosmic effervescence. And that, there are full on the 55 minutes that last “Raumwerk”. Then, you understood that I adored this last album of Art Of Infinity. The duet Thorsten Sudler-Mainz and Thorsten Rentsch still surpasses itself by offering a rich musical production without smudges. “Raumwerk” is a superb opus where Art Of Infinity is not afraid of approaching musical tangents that little dare to approach so much the line between a more accessible music and a more exploratory and audacious musical form is difficult to do funambulist. "Raum und Zeit" is a good starter with a heavy rhythm of which the ample oscillations are wrapped by a smooth coat of mist. The voices are robot-likes and their detached syllables remind me the cybernetic ramblings of Kraftwerk. This is good synth-pop which gets detached from the progressive approaches of Art Of Infinity. "Weltraum" is a short title of atmosphere with an astral melody which is trapped in a cosmic corridor. We are still under its charms when the edgy rhythm of "Die Zeit" digs into our ears with a line of bass from which the heavy resonances undulate in another universe of synth-pop where Gary Numan's recollections cannot escape our ears. It's alive and very lively, sometimes very rock, and it especially has nothing to do with Art Of Infinity's repertoire that surprises pleasantly in this register. "Das Tor" brings us back to the ambiospheric landscapes of the German duo with a title without rhythm but filled with synth breaths which roar in loops in an intense filmic mood à la Vangelis. It's a good moment of philharmonic and futuristic ambience, quite as "Glasufo" from whom the ambiospheric depths release a great duality between a soft dreamy piano and a weeping violin. Flirting with its13 minutes "Zur zweiten Welt" is the jewel of “Raumwerk”. Noises of a plane engines are furnishing the intro which slowly collapses under the incisive bites of a superb electric guitar. One would believe to be in full Pink Floyd mood with this portion of psychedelicosmic blues. The languishing rhythm is changing of skin at around the 4th minute, embracing a more ethereal phase with a soft piano which misleads its fragile notes into heavy and intense aboriginal musical landscapes, paving the way to a great prog synth-rock which gets consumed in a powerful final where the tribal percussions of Byron Metcalf burst out under the rips of a vampiric guitar. Very good! While that the lost notes of "Traumraum" meditative piano are continuing to roam on the vestiges of "Zur zweiten Welt", "Tunnellichter" climbs the slopes of a slow and uncertain rhythm which drags an imploring heaviness in a very electronic static broth. We detect a fine melody, a kind of astral divination there, murmured among these rhythmic clogs which forge an ascending rhythm but of which the structure drowns itself in vapors and cosmic breezes. The piano is also one of the harmonious key elements of this 4th opus of Sudler-Mainz and Rentsch. On "Elektrischer Mann" it forges a fascinating funeral march. A sober procession with a finely jerked gait where crumbled harmonies throw a balm of astral incense around a paranormal voice which recites a robotic psalm. Simplistic you will say? Yes but also extremely catchy! "Arena" offers a more progressive structure of the kind of "Zur zweiten Welt" with a synth of which the breaths to the smells of saxophone are roaming in an intro which tumbles in a furious cosmic gallop. The rhythm is heavy, curt and jerked. Bitten by the soloing riffs of a gourmand electric guitar and knocked down by percussions to metallic clogs, it runs after its breath that it finds in a long ambiospheric and psychedelicosmic passage where the synth and the guitar are exchanging cooing and lamentations on an absent rhythm which skips as much slightly than the sounds of the voices with faded rustles. "Sternenhalle" closes this last musical odyssey of Art Of Infinity with a structure totally ambiospheric where the musical abstract art lives in a luxuriant sound fauna of which the limits are pushed away until infinity. And the guitar? Gosh that I have the impression to hear David Gilmour! “Raumwerk” is a strong album which merges skillfully a diversity of styles which become entangled with a surprising cohesion in a long finely segmented musical journey. The ambiences are rich and the rhythms, sometimes heavy and curt, are catchy. These elements, added to the wonderful guitars, weave a charming album that has no dead moment. An album that I adored and this from the first rhythms of "Raum und Zeit". And don't you think that the artwork looks a lot like a certain TD album? Originally available in digipack format and in limited edition on the Manikin label, “Stromschlag” is a musical collection of 2 travelling salesmen invested of a desire to sell an EM with the analog perfumes of the vintage years. It's an opus that is also out of print but which is redone on Vic Reck's label, Ricochet Dream. We can describe this album as a scrapbook of hundred of photos taken in the lands of Steve Roach, that Tangerine Dream discovered in his 77 tour, restored into music during the Californian tour of this brilliant German duet. But is “Stromschlag” for an electric shock? Not really! But rather a nice and quiet musical collection stemming from the fertile imagination of Fanger & Schönwälder who doesn't stop to amaze in his making of a minimalism art where redundancy is held in contempt. It's all in smoothness that "Joe's Wild" begins. Soft sparkling arpeggios are floating in a nebulosity filled of heterogeneous tones and where the sound effects of a boreal forest are trapped in a somber Mellotron which gets collusive of an effervescent musical taciturnity. The track livens up in a kind of groovy mood which sounds like a soft Mexican romance with fine percussions drumming beneath an acoustic guitar and some mislaid chords shining with a brightness echoïc harmonious air. The influence of Fanger (Mind-Flux) is striking on this soberly cheerful and rhythmical music piece which reminds me of Food For Fantasy or still the Californian breezes of Mergener/Weisser's works on IC label. It's a mesmerizing track which soaks into a jazzy/groovy mood and which ends in the soft ecstasies of a fluty Mellotron. And it's with an even darker Mellotron that "Mojave" is opening, exposing the air of the American desert wild savannas. We feel a sort of agony there while that floating chords call to mirage in a superb soundscape of a glittery beam. The soft paleness of "Mojave" goes up to until "Yellow Stones" with a splendid presence of Mellotron from which the hazes sound so much like the arrival of TD in the American soils back in 1977. A beautiful line of sequences splits the movement at around the 5th minute which livens up under some rather ingenious synth spectres. The spirits of the desert wake up with the lamentations of the first pioneers who left their souls beneath the sand. The musical reconstitution of the American West by Fanger & Schönwälder is striking and depicts with a surprising creativity those long bus journeys. But the duet never forgets his roots and delivers a superb Berlin School structure with mnemonic percussions and gliding hazes of Mellotron on the second half of "Yellow Stones" which ends up to be one of the very good tracks of EM in 2008. It's a wonderful music which wakes up and dies in the night-atmospheres of an eroded land. From the same introductory pattern but this time fed by a fertile zoological sound fauna, "See you later in Bozeman" starts from barren furrows to finally create a slow and hypnotic Berlin School to which are joining a litany of sound effects and ghostly voices which merge to some aboriginal synth breaths. This long circular track exploits the spectral breezes and ghostly moods of a dense Mellotron which weighs up on a sober, hypnotic and steady tempo. This Mellotron is the cornerstone of this long hypnotic canvas where a soft rhythmic pattern is skipping smoothly beneath the iridescent breezes and flutes that go all the way to its end. It's quite good, a bit long, and it's a good indication of the complicity and the magic that surround the German duet that drinks of the analog years of the Dream and Klaus Schulze. And I know that I'm repeating myself but the duet seems to have an unlimited imagination. Let us take "Gallatin Field" for instance. 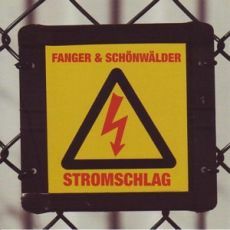 Fanger & Schönwälder would have been able to lower the guarding and simply offers a well sequenced track which catches and forms a solid earworm such as hypnosis of the brain. But no! The duet has chosen to dress this rhythm which undulates in cascades with sequences which become entangled among nice synth melodies which crystallize in a rich and diversified sound excitement, always raising the hearing attention of a notch. This is yet another great track with breezes and winds of the Middle East among a southern touch, while that "Twintron" floats in the desert of serenity with beautiful tones of big organ. This dramatic touch is ending a journey finely depicted by a creative complicity from this amazing duet that resuscitates admirably the old essence of the progressive electronic era, with a zest of electronica. So, when is the next? I once written it and I still persist: attend a concert of EM is to show a heroic deed against somnolence. This superb music, which is the equivalent of a lava flow under the arcs of a rainbow, finds all its wealth under the closed eyes of diurnal dreamers. Certainly there are rhythms. Rhythms embroidered into sequencers where the protagonists are more much excited than Macy's dummies. In fact what saves the day during these concerts is the quality of the music. And at this level, Fanger&Schönwälder gives us quite a seminar about EM of which the analog perfumes revive these crazy souvenirs of our years of artificial illusions. “Analog Overdose-The Road Movie” is a movie-documentary about the international tour undertaken by the duet from September 2007 to August 2008. A tour which walked them from L.A. to Berlin while passing by England where Thomas Fanger and Mario Schonwalder have dazzled many ears on an EM religiously listened by a public taken in hostage by rhythms and ambiences which flow beneath some organic panoramas of screens and walls skilfully brushed by psychedelic lavas. Apart from music and the visual effects, the very penetrating video views offer us a small lesson on the electronic art with closes-ups which reveal secrets and which satisfy all the curiosity of a greenhorn such as I on the functioning of synths and sequencers. It's at the Eindhoven's very own E-Live festival of 2008 that the audiovisual adventure of “Analog Overdose-The Road Movie” begins. In a sober setting, very intimate and decorated with Spirograph kind of psychedelic drawings which melt themselves on the screen into delicious psychedelicosmic embraces, the rhythm of "Eindhoven" emerges delicately from its morphic circles and its soporific flutes to espouse the shapes of a cosmic groove. The rhythm, at first slow and uncertain, becomes languishing and increases a mesmerizing pace under the harmonious breaths of synths filled by the fragrances of Tangerine Dream and of its Ricochet era. This suave lunar lounge mislead its lascivious rhythm into ambiospheric wanderings before resuming its hypnotic mould which beats of a suggestive life in a dense synth veil where organic sound effects and eclectic pads wrap a rhythmic approach shapes in electronica with a Berlin School zest. "Liphook" is a small jewel of an EM which links magnificently the analog and digital eras. The rhythm is clear and steady. Caressed by serpentines of sequenced ions which embroider in their echoïc outlines a finely jerked rhythm, it makes the low bow in front of the synth pads among which the ethereal voices and the Persian breaths revive recollections of Klaus Schulze on Blackdance. Splendid! The introduction of "Los Angeles" goes by a short video of the city road circuit where the images parade in the fragrances of Tangerine Dream's Encore. We are entering a more intimate portion of the DVD where we see the duet piled up in a premises interpreting a music piece molded to measure for those who followed the Dream's North American tour in 1977. The rhythm is forged in good sequenced pulsations which oscillate among jingles of cymbals. It follows a tangent which zigzags on a musical highway filled by obstacles and enlightened synth strands to ghostly tones. This rhythm endowed of two distinct entities which criss-cross in foggy and symphonic synth pads is of use as backcloth to a musical slide show where we see the duet roaming in the streets of L.A. and exploring the Californian deserts. The lovers of analog vintage EM will love this and will wear out this segment of “Analog Overdose-The Road Movie”. And the more we move forward in the DVD and the more our ears are delighted, while our eyes appreciate the discoveries while forgetting the lack of pompous effects of concerts with big deployments. The performance of "Frankfurt" is based on the same precepts as L.A.; small premises, images of an urban activity and a very Dreamian musical approach with a thick cloud of Mellotron which covers a heavy hypnotic and sustained rhythm. Sequences are superb! They jump and pound with an orgiastic way in a rhythmic structure that we have difficulty to describe so much the fauna of percussions, sequences and pulsations is as well dense as diversified. These rhythmic elements bombard an intense structure that Klaus Hoffmann-Hoock wraps of his coat of harmonious and morphic mist weaved in the magic of the Memotron. And the finale... Hum...! "Berlin" is the cornerstone of “Analog Overdose-The Road Movie”, both by its long musical structure and its location; a swimming pool emptied of its water. The distant camera shots put height the view with a range of drawings and lighting effects which upholster the internal walls of a concrete aquarium which returns a futuristic decoration. And the music is espousing these modernist reflections with a delicious intro where drops of rhythms resound in the emptiness of a swimming pool bared of its watery element. The ambience is postmodern with these jingles that click and shape a languishing structure where the notes which fall resound in oblivion, while that insidiously a slow morphic down-tempo installs the framework of its hypnotic rhythm. This slow rhythm evolves by subtle segments, increasing delicately a pace which extricates itself from its lunar down-tempo among which the hypnotic beatings and the ambiospheric wanderings cavort in a splendid organic musical fauna to adopt a groovier tangent and finally explode into a finale herculean with stormy sequences which remind us the rhythmic, harmonious and electronic duality of Thomas Fanger and Mario Schönwälder. A dualism which is the driving and creative strength of an EM that makes a perfect bridge between electronica and the hypnotic charms of the Berlin School. Electronica, teutronica, morphic down-tempos and an EM that doesn't deny its Berlin School roots; “Analog Overdose-The Road Movie” is a wonderful and a fascinating exploratory adventure of a music which seems to hatch out of a contemporary artistic witchcraft. Although a too big category of EM concerts is the equivalent of a chamber music performance for a invited public, Fanger&Schönwälder gives the possibility to all their fans and other lovers of an imaginative music to visualize and hear a very beautiful collection of intimist concerts where the music transcends the parameters of big deployments concerts. The shots, the organic and psychedelic visual effects as well as sets and locations cement an artistic symbiosis which espouses the hallucinatory fancies of a music that always ends by taking the shape of ours. Yes, Fanger&Schönwälder offers a very beautiful Christmas present to their fans! A distant breeze, hollow like the breaths of winds singing in a tree trunk trimmed by holes, opens the rangy and single-phased "Séance". The movement is quiet and dark. Without rhythm it inhales of these long dark strata which surround silence, plunging the listener into the gaps of “Darker”. Without surprises, this 3rd tome about the solitude of the black angels from David Thompson is a profound immersion into the slow waves and blacks lines of a synth which frees as much musical lines as morphic singings which waltz lazily with the shadows of oblivion. From the height of its 29 minutes, "Séance" sweeps of its apocalyptic breaths the vestiges of an arid land and embraces of its atonal wings the last souvenirs of a world formerly of light and hope, leading so the dreamers that we are in the most abyssal cracks of a world to be redone. Black? More than! Neurasthenic? Not just a bit! “Darker” is forged in the melancholic shadows of our lost illusions. 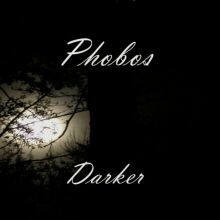 Taking back the black humors of his This Desolate Place in 2011, Phobos digs even more in the fantasies of our night terrors with 4 long tracks which kiss at full tones the hooting of souls lost in slow lethal whirlwinds. Alone with his earphones, the auditor is plunged into a duel against darkness in a rich morphic canvas where the music, so intense than black, flows like gloomy torrents into our speakers. Our dark thoughts adopts to the forms of night spectres, fomenting the dark obsessions which feed even more the vision that we can have of the lands that are on the other side of mirrors. And it's to these doors that Phobos leads us after the quiet "Descend". "Hells Gate" is the hallucinatory rendezvous with the other hillside of the tranquillity. The angels are shouting here and the incubus are exulting all the way of this slow ingression in the mephistophelic abysses there where we can hear strange rustles and feel the ochred breaths dancing with weariness around our fears. There are no doubts; "Hells Gate" is one of the heavy monuments of black ambient music that I heard. After this odyssey in the opacity, "Decomposing Lust" re-appears out of darkness with a movement wraps by a scent of iridescent metal of which the grazes are praying for a paradoxical freedom in the ultimate moment of serenity of an album that makes no compromise regarding its first intentions; plunging the listener into the most somber secrets of “Darker”. Quietly Phobos builds himself an enviable place in the very restricted market of the black and gloomy ambient EM. The music of “Darker” is intense and fed the driest of the imaginations with waves of synth which float as spectres of which the ochred breaths are moulding some insidious ectoplasms in search of a life. Possibly ours! But all this are only fantasies loosened by more than 70 minutes of a dark and captivating EM of which the listening in solitary, and in the dark, can only forge these delights that only the imagination can sanction.